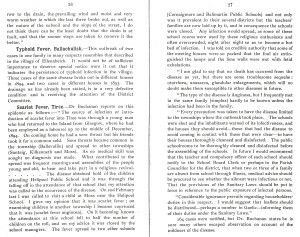 Photocopied extract ‘Island of Tiree’ from the report of the excursion of the Cambrian Archaeological Association to the Western Islands of Scotland, Orkney and Caithness in June 1899. 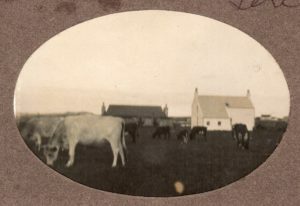 Includes geographical and historical descriptions of the island and detailed observations of archaeological sites at Soroby, Kilbride, Ardchain, Kirkapoll, Kilchennich and Kilmoluag, plus mention of Gunna Islet. 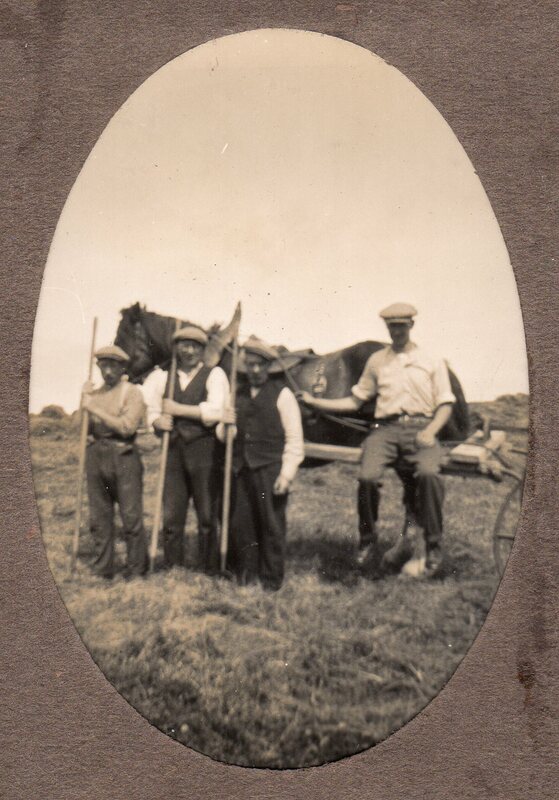 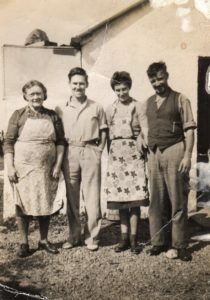 Information and notes about a collection of photographs of the MacPhail family of Clachan, during 1930-1980. 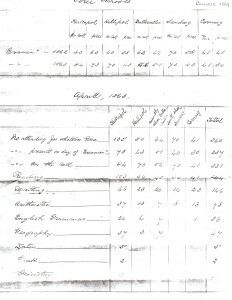 Eleven are catalogued individually under 2019.33.1 – 2019.33.12. 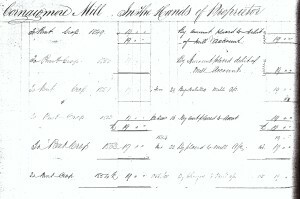 An additional nine photographs are held on An Iodhlann’s computer. 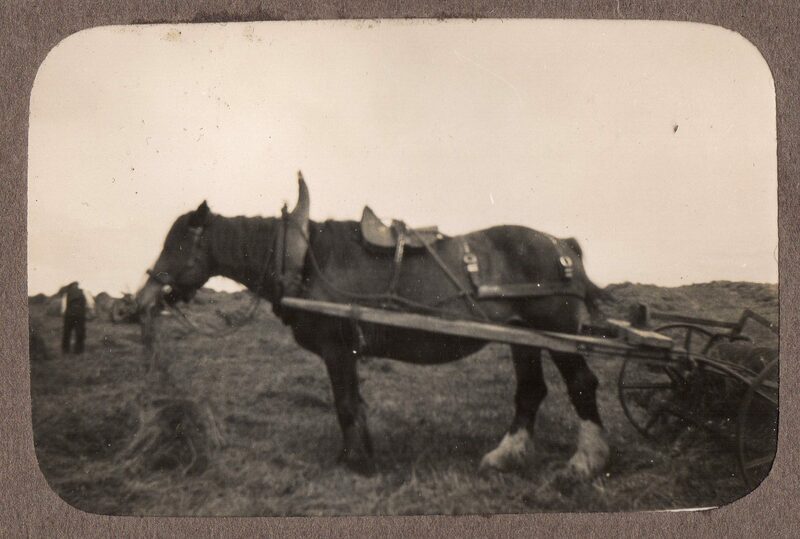 Black & white photograph of Alec Hector MacPhail, Clachan, at the Tiree Association Sports Day on The Reef in 1931. 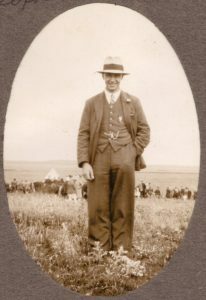 Alec Hector was the brother of Captain Lachlan MacPhail (1889-1961). 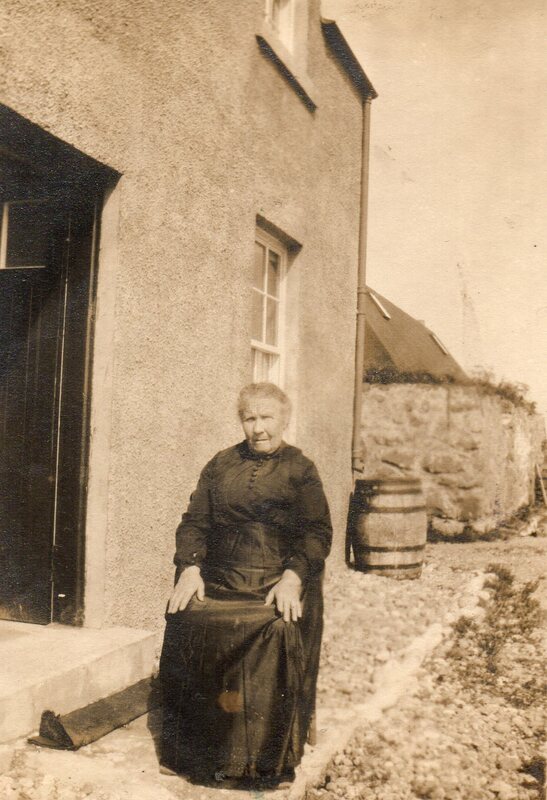 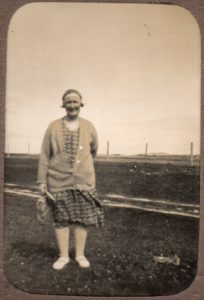 Black & white photograph of Katie MacPhail at Clachan in the 1930s. 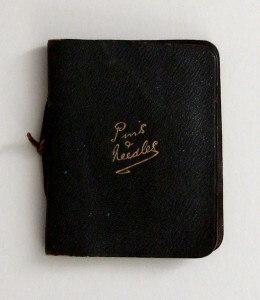 Katie was the wife of Captain Lachlan MacPhail (1889-1961). 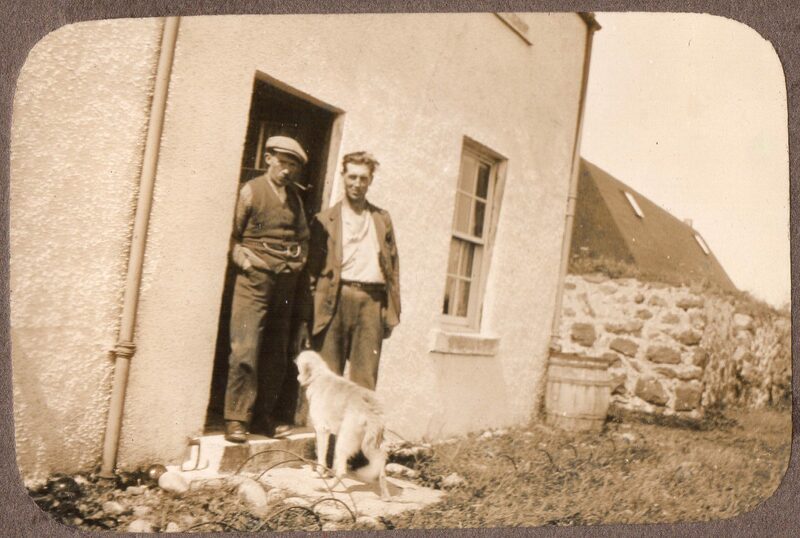 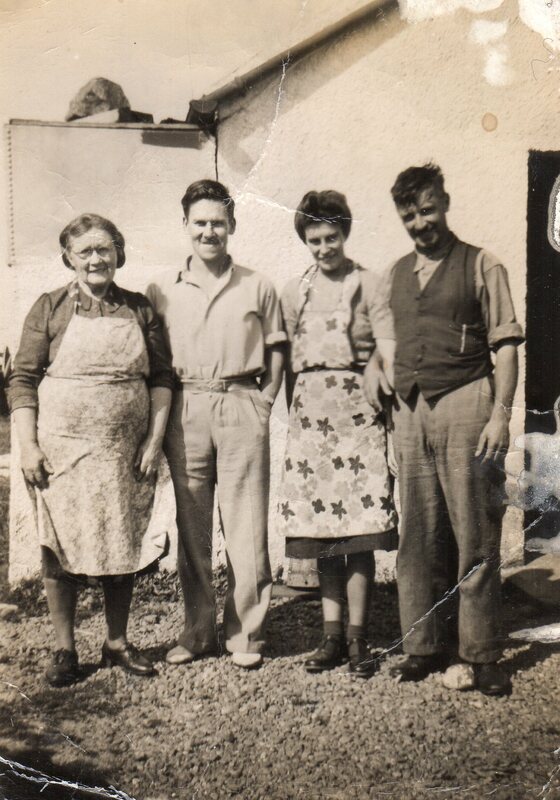 Black & white photograph of brothers Hector MacPhail and Alec Hector MacPhail with their dog Nelson, at the door of the family home at Clachan in the 1930s. Hector and Alec Hector were brothers of Captain Lachlan MacPhail (1889-1961).